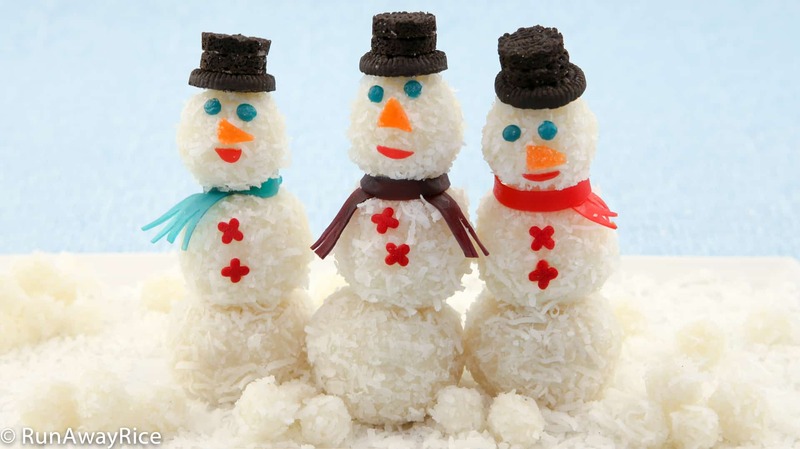 Snowman Snowball Cakes - Yummy Holiday Treats to Make at Home! Use my Snowball Cakes recipe to make the snowmen bottoms and middles. Make the balls for the snowmen middles smaller than the bottoms. This will require that you make the filling balls a bit smaller. You can eye-ball the measurements for simplicity. Here are some approximate measurements for guidelines: if the uncooked balls/snowman bottoms are about 1.2 ounces, make the middles about .90 ounces, and the heads about .5 ounces. For the snowmen heads and mini snowballs, follow the recipe below to make more dough. These Snowman Snowball Cakes are best enjoyed the day they are made, while they’re fresh and soft. If making the cakes a day ahead, cover well to prevent drying. After a day or so, the candies and cookies will become soft so it’s not ideal to make more than a day in advance of serving. Follow the Snowball Cakes recipe and make balls for 12 snowmen middles and 12 bottoms. Make the balls for the snowmen middles smaller than the bottoms. Cook the balls and coat with shredded coconut as per the recipe. Place 2 candy sprinkles on each snowman middle for the buttons. Do this while the balls are still warm and this will help the buttons to stick to the body. In a small measuring cup, add the boiling water and sugar. Stir until the sugar is dissolved. In a medium bowl, combine the sweet rice flour and sugar water mixture. Mix together until a soft dough forms. Knead the dough for 1 minute. Pinch off small amounts of dough and roll, making 12 balls for the snowmen heads. 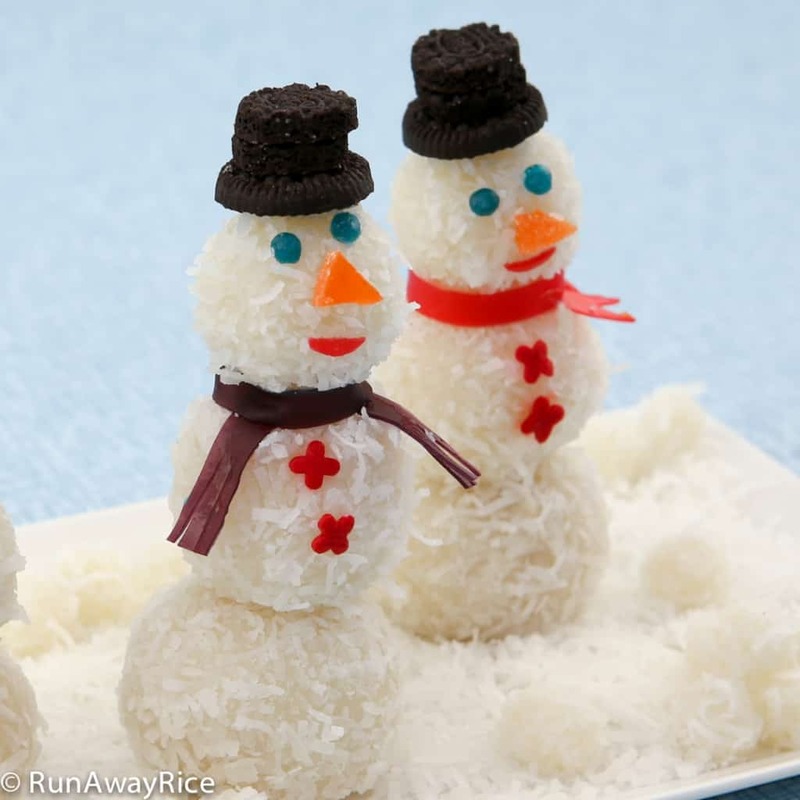 Use the remaining dough and make mini balls for the snowmen’s snowballs. Bring a large pot of water to a rapid boil. Transfer balls into the pot. Stir the balls gently so they don’t stick to the bottom of the pot. Boil using Medium heat stirring occasionally. In about 2 minutes the mini balls should float to the top of the water. Transfer them into a large colander. Let cool for 1 minute. Coat with the shredded coconut. Set aside for now. In about 4-5 minutes the larger balls should start floating to the top of the water. After all balls float to the top, rotate gently and continue boiling for another minute. Transfer the balls into a large colander. Leave some space around the balls so they don’t stick together. Let cool for 2 minutes. 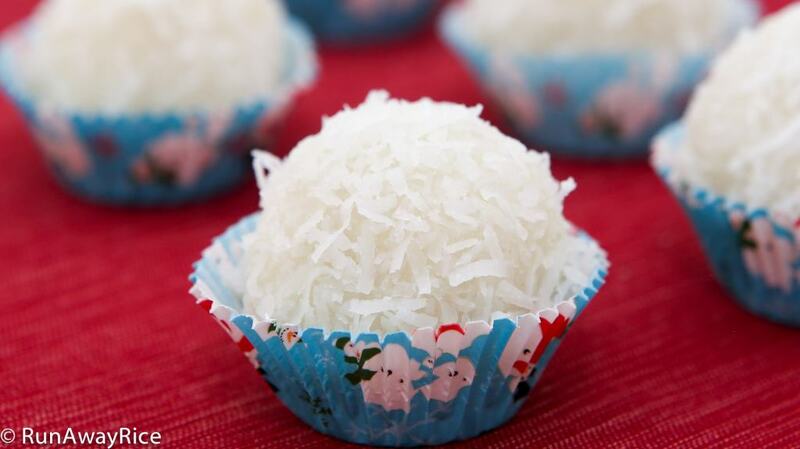 Roll the warm balls in the shredded coconut coating them evenly. 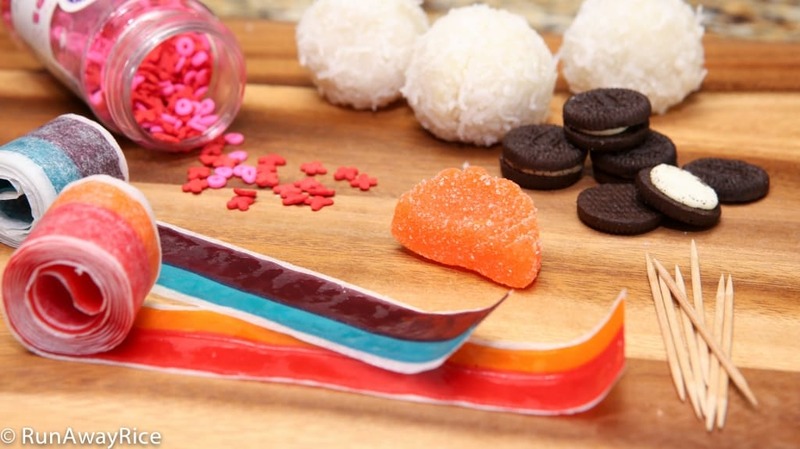 For the eyes, take a pinch of a fruit strip and roll into a small ball. Make 24 balls. 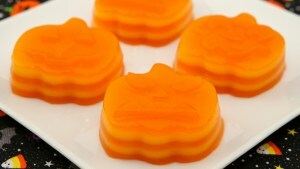 For the noses, cut the candy orange slices into small triangles. Make 12 triangles. For the mouths, cut red fruit strips into small sections. Make 12 sections. For the scarves, cut fruit strips into lengths about 3-inches long, making a total of 12 pieces. Use scissors to make small cuts at the ends of each fruit strip to represent the strings of a scarf. For the hats, separate 6 sandwich cookies making the brim for 12 hats. Scrape off the cookie cream and save for later. Using a paring knife, shave around a cookie sandwich making a smaller circle. This will be the top portion of the hat. Repeat this process making the 11 more hats. Attach the eyes, noses and mouths to the snowmen heads. Press gently so they stick. Insert a toothpick halfway through the top of a snowman bottom. Carefully set a snowman middle through the toothpick, resting it firmly on the snowman bottom. Insert another toothpick halfway though the snowman middle. Position the scarves through the second toothpick to secure them. Place the snowmen heads through the second toothpick. Place the cookie hats on top of each snowman head. Use the cookie cream to “glue” the pieces together and to the snowmen heads. Sprinkle the remaining shredded coconut onto a large plate. Carefully place the snowmen on top of the plate along with the mini snowballs. Enjoy the Snowman Snowball Cakes while they’re fresh! In a small measuring cup, add the boiling water and sugar. Stir until the sugar is dissolved. In a medium bowl, combine the sweet rice flour and sugar water mixture. Mix together until a soft dough forms. Knead the dough for 1 minute. Pinch off small amounts of dough and roll, making 12 balls for the snowmen heads. Use the remaining dough and make mini balls for the snowmen's snowballs. Insert a toothpick halfway through the top of a snowman bottom. Carefully set a snowman middle through the toothpick, resting it firmly on the snowman bottom. Insert another toothpick halfway though the snowman middle. Position the scarves through the second toothpick to secure them. Place the snowmen heads through the second toothpick. Place the cookie hats on top of each snowman head. Use the cookie cream to "glue" the pieces together and to the snowmen heads. Make the balls for the snowmen middles smaller than the bottoms. This will require that you make the filling balls a bit smaller. You can eye-ball the measurements for simplicity. Here are some approximate measurements for guidelines: if the uncooked balls/snowman bottoms are about 1.2 ounces, make the middles about .90 ounces, and the heads about .5 ounces. These Snowman Snowball Cakes are best enjoyed the day they are made, while they're fresh and soft. If making the cakes day ahead, cover well to prevent drying. After a day or so, the candies and cookies will become soft so it's not ideal to make more than a day ahead. 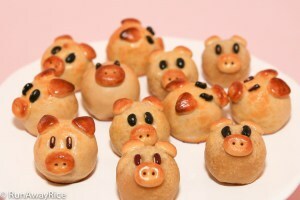 The kids and I had a lot fun with this recipe. Our snowmen turned out so cute but they didn’t last very long because the boys wanted to eat them right after we were finished. LOL! 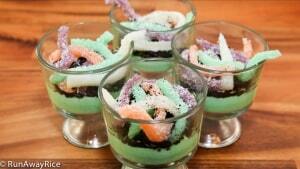 Thanks for sharing such a fun and creative recipe!